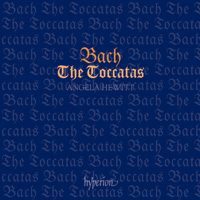 This was the second release in the Bach cycle, dating from 1995. 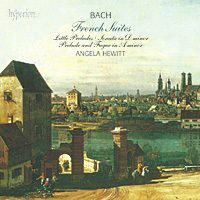 As well as the Six French Suites, which contain some of Bach’s most attractive music, the double-CD includes the Eighteen Little Preludes for beginners, and the Sonata in D minor–Bach’s own transcription of one of his solo violin sonatas. 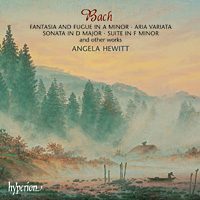 An almost “live” performance of Bach’s masterpiece, and the work that Angela Hewitt performs in public all over the world. The Partitas show how Bach took the standard keyboard suite and made it into something uniquely his own. With the release of this CD back in 1997, Angela Hewitt’s career began to really take off. 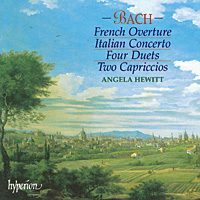 One of Bach’s most popular works, the Italian Concerto, is here presented with the French Overture, the Four Duets, and the two youthful Capriccios. 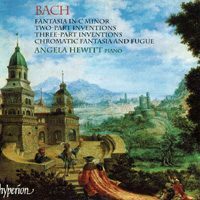 These early works show how Bach must have wowed his contemporaries with his improvisations and virtuoso keyboard playing. A must for any serious piano student! 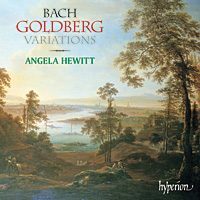 This was Angela Hewitt’s first CD in her cycle of Bach discs for Hyperion, recorded in 1994. She begins where Bach would have wanted to begin: with the Two- and Three-part Inventions–works that are approached by every piano teacher and student around the world. The last disc in the acclaimed series of solo keyboard works by J.S. 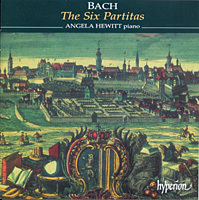 Bach has Angela Hewitt presenting many works which are rarely played, let alone on the piano. Besides more well-known pieces such as the Fantasia and Fugue in a minor, BWV 904, and the Aria Variata, BWV 989, we have the Sonata in D major (concluding with a fugue imitating the hen and the cuckoo! ), and the Partie in A major (with its jaunty Air pour les Trompettes). 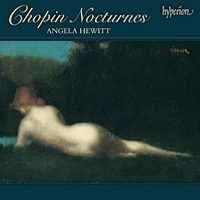 Angela Hewitt takes a well-deserved break from her mammoth Bach and Couperin surveys to present us with this enthralling set of Chopin’s complete Nocturnes and Impromptus, recorded on her own Fazioli concert grand piano. 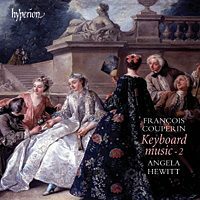 If Bach, why not also Couperin on the piano? Purists will be shocked, but Angela Hewitt makes an impressive case for it, and this disc became a bestseller! 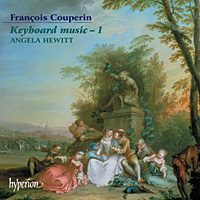 A second disc for those who were enamoured of Angela Hewitt’s initial survey of the keyboard works of the great French master, François Couperin. 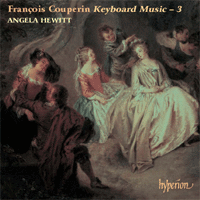 This is the third and final CD in Angela Hewitt’s best-selling Couperin series. Here she presents the Thirteenth Ordre (with the colourful variations Les Folies Françoises ou Les Dominos), along with a selection of separate pieces from various suites, including The Nightingale in Love (14th Ordre). 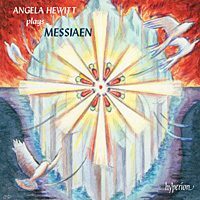 In this disc, Angela Hewitt shows her affinity for French piano music, presenting the early Préludes of Olivier Messiaen, along with several of his Vingt Regards sur l’Enfant-Jésus and Île de feu 1 and 2. 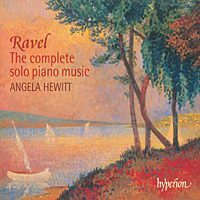 The complete solo piano works of Maurice Ravel are presented here on two discs, reminding us that Angela Hewitt plays more than just Bach!